I’m so happy my favorite season is here! 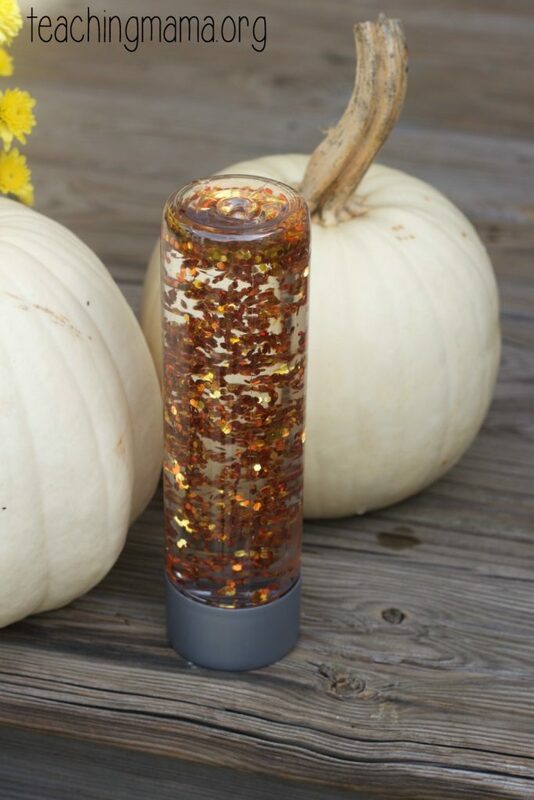 Everywhere I look, I see fall! The leaves are starting to change, the mums are out, there are pumpkins galore, and of course pumpkin spice everything! 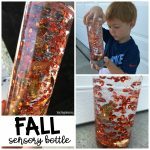 Today I want to share with you our fall sensory bottle we just made. It’s very simple, but it’s perfect for toddlers and preschoolers this fall. 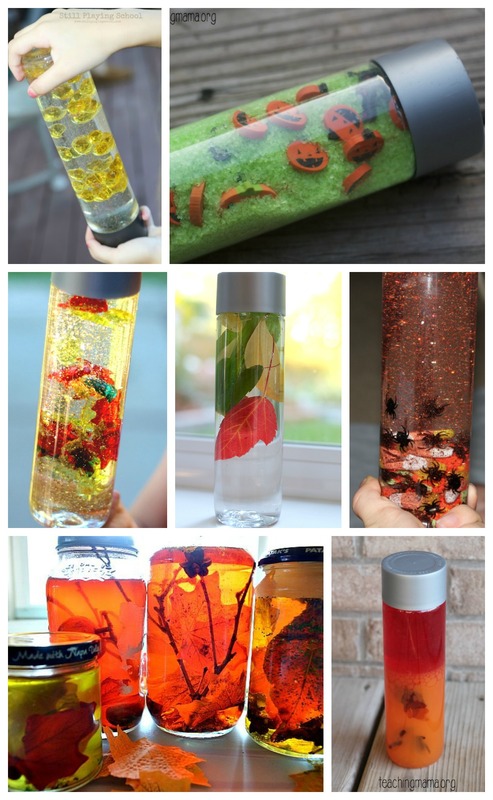 To make the bottle, I filled an empty water bottle with 8oz of glycerin and then filled the rest of the bottle with tap water. 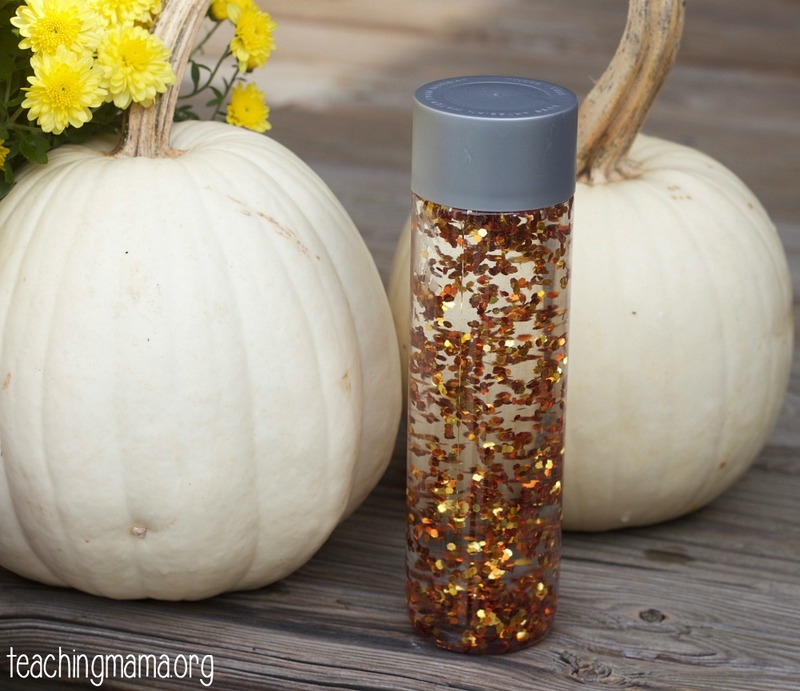 I used glycerin because it helps the glitter swirl around and fall down slowly. 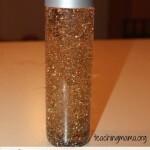 Then I poured in a generous amount of glitter. Lastly, I glued the lid on so my kids can’t open it! 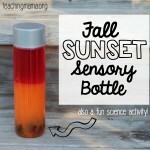 My boys loved looking at the bottle and shaking it! 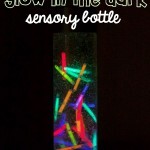 We really love sensory bottles and have a large collection of them! 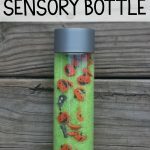 Here are a few of my favorite fall sensory bottles. 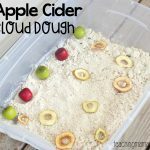 How old is the young one you were making these for? Did he/she/they never open and spill the contents? I make these for my babies up through preschool age. 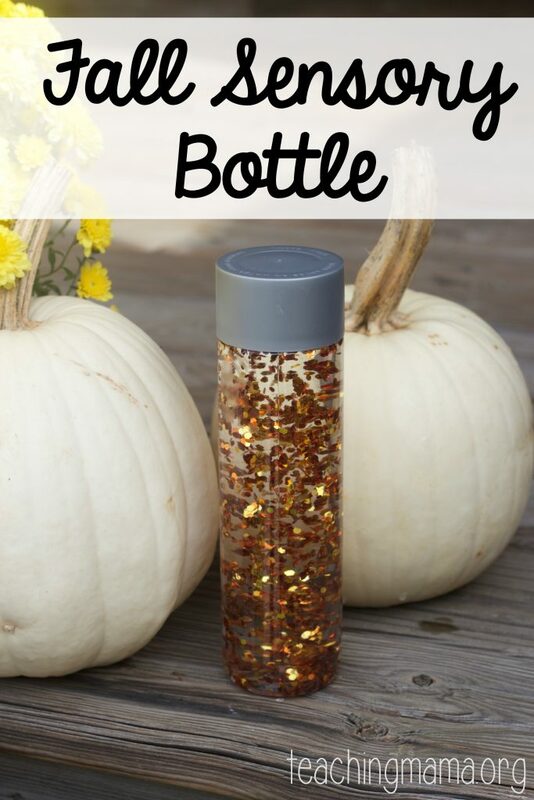 I glue the lid down with a hot glue gun, so they can’t open it. After they realized they couldn’t get it open, they stopped trying. Hope that helps! What size VOSS bottle do you use?